Washington’s National Cathedral might not be the first place one considers as the best to record chamber forces. 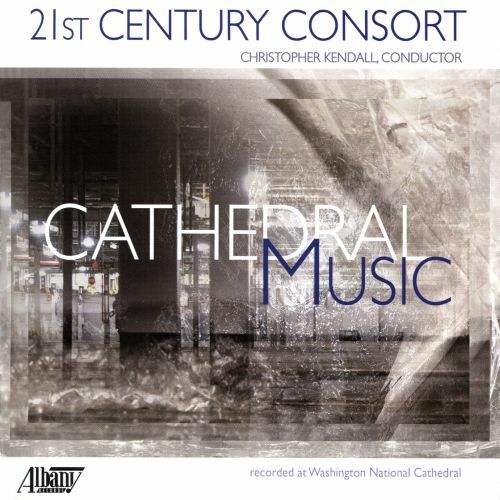 But Cathedral Music, the 21st Century Consort’s new Albany recording, revels in the space. Soprano Mary Mackenzie’s supple rendition of James Primosch’s Sacred Songs and Meditations sounds clear as crystal. The song cycle collects ancient hymns and refashions them into a beautiful collection of graceful, often chant-inflected, melodies. The intricate polyphony and antiphony of the title work, by the late Stephen Albert, is warmly acoustically attired. Like all of Albert’s work, the orchestration is sumptuous, providing an intriguing palette of colors that complements the primarily angular melodic gestures. Christopher Patton’s Out of Darkness provides a muscular closer, with clarinet cadenzas set against boisterous percussion and angular chordal punctuation. Conductor Christopher Kendall and company are to be commended for negotiating a host of balance challenges to craft a fine document of three compelling works.